Former CIA analysts Kathleen and Bill Christison argue that a US and/or Israeli attack on Iran to bring about regime change and strengthen US and Israeli dominion over the Middle East is likely to take place before the Bush administration leaves office unless a concerted effort is made to impeach Bush and Cheney. 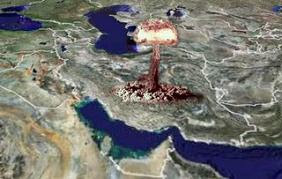 The internet is loaded these days with reports of the inevitability of a US, or a US-Israeli, attack on Iran. Some writers allege that the attack is imminent. Others, including the writers of this article, argue only that the attack will happen sometime before January 2009, when the Bush administration leaves office. Many of these stories have by now been picked up by the mainstream media. In fact, it is probably safe to say that today a majority of the traditionally cautious and so-called respectable foreign policy experts in the US think it is at least possible that Bush will attack Iran before he leaves office. Such is the power of recollection with respect to how Bush bulled his way into invading Iraq in 2003 that many people simply accept that he might gamble on doing it again. He has made it clear that in this "War on Terror", victory means everything to him. He might also believe that a win in Iran could reverse current setbacks in Iraq and also bring victory closer for the US and Israel in Syria, Lebanon and Palestine. And he has already shown that he is willing to accept the killings of hundreds of thousands or even a million people in the hope of going down in history as a great commander-in-chief. The people of the United States are the only ones with a chance of stopping him, and it can only happen if a powerful majority of voters will join in a maximum effort to impeach both Bush and Cheney right now. This has to happen before the US and/or Israel undertake any expanded military efforts against Iran. All of this will be difficult, and many will think it impossible. We citizens of the US who do not want our country to become involved in a greater war with Iran will not have most of the print and TV media with us, nor the military-industrial complex that wants more wars. The Israel lobby will desperately oppose efforts to impeach Bush and Cheney, because it will recognize instantly that the two top US leaders are the lobby's strongest backers of war with Iran. At the same time, most of the Democratic Party leadership and all but one or two of the Democratic presidential candidates will be reluctant to support impeachment because they are competing with the Republicans in an effort to show that each party supports Israel more strongly than the other. But the people of this country have plenty of power to defeat all these forces if they will use it to support justice, particularly in the Middle East, which is today the highest priority area where US and Israeli foreign policies play a major role, and the area where those policies are the most unjust. We believe it will be by no means impossible to persuade a majority of American voters, given their already established distaste for US failures in Iraq, to rip off the cocoon of pleasant but apathetic consumerism in which they have encased themselves, and participate more seriously in the political processes of our country than they ever have in recent years. The impeachment itself will have more to do with the past than the future, since a legal action can only indict (impeach) and then convict a person for past actions, not for actions that may be likely in the future. So impeachment will concern Iraq and domestic policies of the Bush administration, not Iran. But at the same time, once we get their interest, people should have a heightened awareness of future planned acts as well as of past policies of the government. If we can move fast, we will have time to show how the plans to attack Iran create a greater need than ever for an impeachment effort to succeed, and to succeed now. The first point to make in persuading people is that Iran itself claims it has no nuclear weapons now, and no intention to produce them in the future. The first part of this statement is true; the supporting evidence is overwhelming. But Iran's claim that it will not in the future develop nuclear weapons is subject to doubt, even though the International Atomic Energy Agency has found no evidence to the contrary. The other nations in the Middle East and South Asia that have been developing nuclear weapons over the last 50 years – Israel, India and Pakistan – all lied to the US, the UN and other countries, claiming that they were not building nuclear weapons when in fact they were. Iran might well do the same. More important is the sheer logic of the situation. As one nation-state in a world of nation-states, Iran knows that it has every bit as much right to develop nuclear weapons as the US, Israel and other present nuclear powers. Compared to Israel, Iran has both a population and a land mass that are much larger. So why is it permissible for Israel to have several hundred nuclear weapons and impermissible for Iran to have any? The answer given by Israel supporters, that Israel never signed the NonProliferation Treaty of 1970 while Iran did, is spurious. The NPT is, for practical purposes, a dead letter. Under the treaty, the US and other signatory states already possessing nuclear weapons promised to begin serious negotiations to eliminate their own weapons, but they have never done so, or even tried, in the years since 1970. If Iran were in fact discovered to be developing its own weapons, Iranian officials could say, hand on heart, that they would be pleased to quit violating the treaty when the US did. Since the US right now is embarking on a programme to upgrade its nuclear weapons and delivery systems capabilities, and shows absolutely no intention to negotiate toward eliminating those capabilities, Iran would seem to have quite a strong legal case. Iran might also argue that the situation has so changed in its region of the world (with Israel, India and Pakistan all now having their own nukes) that it must withdraw from the treaty and obtain its own deterrent force. It has not done that yet because it still claims that it does not want any nuclear weapons, but that option is always, and quite legally, open to it. By the way, any argument that Israel is a more moral and "better" country than Iran – and thus more deserving of nuclear weapons – is a bit of sanctimony worthy only of being rejected out of hand. The key point here is that Iran's nuclear capabilities are not now, and will not be at least for a few more years, a significant threat to the US, although over the same period they could be seen in Israel as a somewhat greater threat. Therefore, to the extent that Iran's nuclear weapons potential is at all a real cause of present US and Israeli aggressive policies toward Iran, these aggressive policies are being carried out more to benefit Israel than the US. It is actually likely that the main motive behind US and Israeli policies (as was the case in Iraq) has nothing to do with nuclear weapons but is rather to bring about regime change in Iran and strengthen the joint dominion of the US and Israel over the entire Middle East. This raises the broader question of whether such joint dominion is truly in the best interest of the United States, or whether it is favoured in Washington mainly because it is being pushed by the Israel lobby. Another point needs to be made that should also help persuade US voters to oppose a war against Iran with all their strength. Bush is fond of saying that Iran is the world's leading state sponsor of terrorism. Of course, when he says this, he never tells his listeners what his definition of terrorism is. In fact, we cannot recall any occasion or speech since the so-called “War on Terror” was launched in which Bush has spelled out what he means when he uses the word. The best definition of terrorism is "the use of violence against civilians for a political purpose". If one buys this definition, which is widely used, Bush's statement that Iran is the leading state sponsor is plainly false. Using any criterion you choose that covers all civilians – killings, destruction of homes, shootings or beatings or mistreatment of the sick at checkpoints – what governments would you say were the leading purveyors of terrorism in the last five years? Hint: creating "shock and awe" is a good definition of at least one form of terrorism using aircraft, modern bombs and missiles. Sniper shootings of children in Gaza is another. Destroying the olive trees that provide basic income for an entire family and then forcibly confiscating the land on which the olive trees stood is yet another form. But then, there are numerous others, including the use of torture on prisoners. It is so easy, yet so reprehensible to list Iran as the number-one terrorism culprit. At a minimum, we Americans must understand that many others around the world regard us as far worse terrorists than any in Iran. For pushing "terrorism" as a justification for waging war against Iran when the US is just as guilty of even greater terrorism, Bush and Cheney must beyond question be impeached and convicted with all possible speed, so that they can never start that war.